Do you think that you have the best ride in Northeast Ohio? Prove it. Whether you are a car show veteran or a newbie, come out four our 5th Annual Cruise-In for Rainbow Babies on Saturday, July 28th! 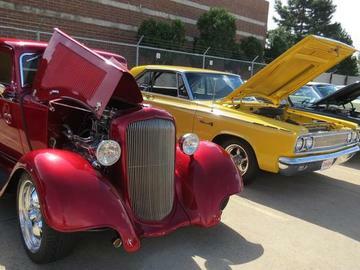 There will be cars on display, delicious food and music- and all for a great cause! D&S’ Vice President CJ Paterniti has been an avid supporter of the UH Rainbow Babies & Children’s Hospital ever since the hospital provided long-term care to his newborn daughter. All proceeds from the event, including a Chinese Auction, 50/50 Raffle and contest entries will be donated to the hospital. Check out photo from last year here! For those towing their vehicles to our show, please unload and park your trailers accross the street at 7585 Tyler Blvd. Mentor, Ohio 44060.